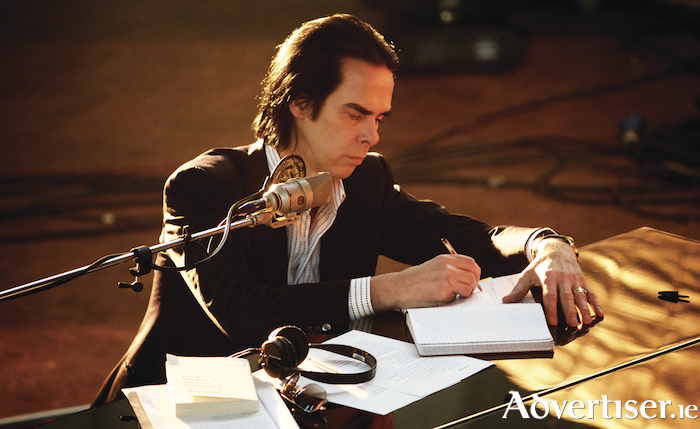 IF YOU cannot make it to Nick Cave's concert with Patti Smith in Kilmainham in June, you can enjoy a week of concert films and documentaries on the Australian genius at the Palás Cinema. Cave, a singer, songwriter, novelist, and performer, is also a film soundtrack composer (in collaboration with Bad Seeds bandmate Warren Ellis ), and screenwriter. Indeed this season comes with Cave and Ellis's blessing. "I am immensely proud of my involvement in all of these films and am very happy that they are being shown as a season," Cave has said. The season opens on Friday June 1 at 10.30pm with Lawless, scripted by Cave and drawn from Matt Bondurant’s The Wettest County In The World, a true story about the author's ancestors, a family of moonshine bootleggers in Virginia in the 1920s. Cave and Ellis also composed and performed the score and collaborated on songs with Ralph Stanley, Mark Lanegan, and Emmylou Harris. On Saturday June 2, two films will be shown: 20,000 Days on Earth (3.30pm ), a magnificent documentary detailing the 20,000th day in Cave’s life, will be screened. Original and insightful, it provides a window on into Cave's creative process and mind, and features his friend and fellow Aussie Kylie Minogue. Sombre, powerful, and deeply moving, One More Time With Feeling (6pm ), chronicles the making of The Skeleton Tree album in the aftermath of the tragic death of Cave's son. The Proposition (Sunday 3, 8.30pm ), scripted by Cave, was a fresh take on the Western genre. Set in the Australian outback, this is an unapologetically brutal story of brotherhood and revenge, and featuring music by Cave and Ellis. Staying with the Western, The Assassination of Jesse James By The Coward Robert Ford, starring Brad Pitt and Casey Affleck, with msuic again by Cave and Ellis, is on Monday June 4, at 8pm. The season concludes with another Western, Wind River, a murder mystery set in a Native American reservation (Tuesday 5, 6.30pm ) is another film with a Cave/Ellic soundtrack, while the season concludes with another Western, Hell Or High Water (Wednesday 6, 6.30pm ), and another Cave/Ellis soundtrack. Set in rural America, the film asks what it means to be an outlaw in the modern world and what drives people to be so.